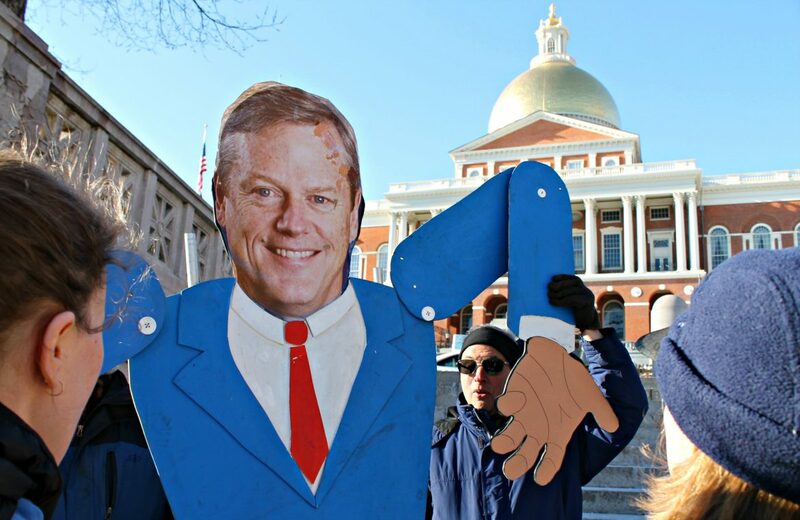 Activists from 350 Massachusetts and other climate change groups practiced a "shrugging" gesture with their giant puppet of Gov. Charlie Baker before starting a rally across from the State House. Upset by President Trump's recent proposals, including budget cuts to the Environmental Protection Agency, the protesters wanted Gov. Baker to jump into the fray and weigh in on Trump's environmental policies. BOSTON — Maybe it was a little luck of the Irish. With the forecast showing a monster nor’easter churning up the coast, Gov. Charlie Baker had one eye on the Doppler radar and another on the front gates of the State House early last week where he would welcome Irish Taoiseach Enda Kenny to Boston. Baker and Kenny would chat for awhile about economic ties between Massachusetts and Ireland, and flip through a photo album of the governor’s recent vacation to the Emerald Isle. And then Baker would go downstairs to stand in front of a bank of cameras and do his best Peter Benchley impersonation. “Just when you think it’s safe to go back in the water,” the governor teased as he approached the mic. But as the March 14 blizzard fizzled into a run-of-the-mill late-winter storm with a mix of heavy snow and rain in many parts of the state, Baker seemed to have largely avoided the cardinal political sins of executive storm management: over- or under-reaction. And winter-weary residents didn’t lose sight of spring; it only got a little blurry. Second guessing will always happen, and the governor even did a bit of that himself when he said he was scratching his head after the final flakes had fallen wondering whether the National Weather Service had kept him in the dark about changing weather patterns. But Baker did not go all in with a full travel ban (which had been considered, and even used by Connecticut Gov. Dan Malloy) nor did he slough it off entirely and run the risk of a real mess on his hands. He took the safe middle, urging people to “work from home” and stay off the roads if they had a choice, and few were going to complain about that. Preparing for the worst and hoping for the best is also the mantra Bay State Democrats, and even Baker, are taking toward President Trump’s new budget blueprint. The $1.1 trillion spending plan released by the White House would slash federal research funding, community block grants, low-income heating assistance, Meals on Wheels, environmental protection and on and on and on (though the defense sector could possibly do quite well). Baker denounced the 22 percent cut to the National Institutes of Health proposed by the president. “It’s not just bad for Massachusetts, it’s bad for the country,” Baker said on the radio. Gov. Charlie Baker said he finds cause for concern with many of the proposed cuts in President Trump’s budget blueprint released March 16, including an “alarming” reduction in federal research spending that he cast as a more immediate concern for Massachusetts than the repeal of the Affordable Care Act. 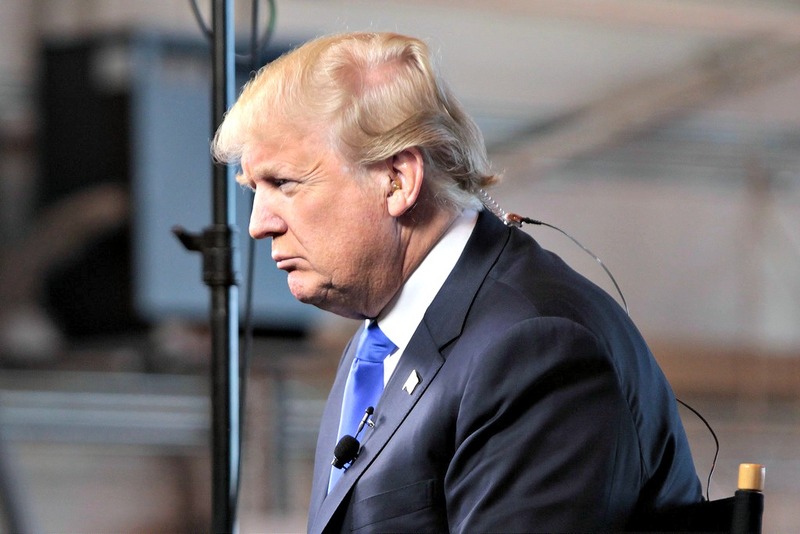 Trump released a $1.1 trillion spending blueprint for the country last week that increases federal spending on defense, border security, law enforcement and school choice initiatives, but makes deep cuts to research spending, environmental protection and affordable housing. The White House defended the blueprint as a budget that would advance safety and security for all citizens without adding to the national debt, but the details quickly fostered consternation among state and local officials. Many of the proposals are likely to be reworked by Congress. Baker said the NIH is a “key driver to all sort of discovery” that helps fuel academic research in Massachusetts and in the biopharmaceutical, medical device and other industries. “It’s not just bad for Massachusetts, it’s bad for the country,” Baker said, calling the NIH proposal “particularly alarming.” He said he planned to reach out to the state’s Congressional delegation and governors of other states with strong links to the NIH to formulate a strategy. Trump’s budget would also eliminate the Low Income Home Energy Assistance Program and the Community Services Block Grant program to achieve a savings of $4.2 billion. “There are a lot of things in this that concern me,” Baker said, though he added that he’s well aware that Congress, and not the White House will have the final say on spending. “It’s what we might call a suggestion. 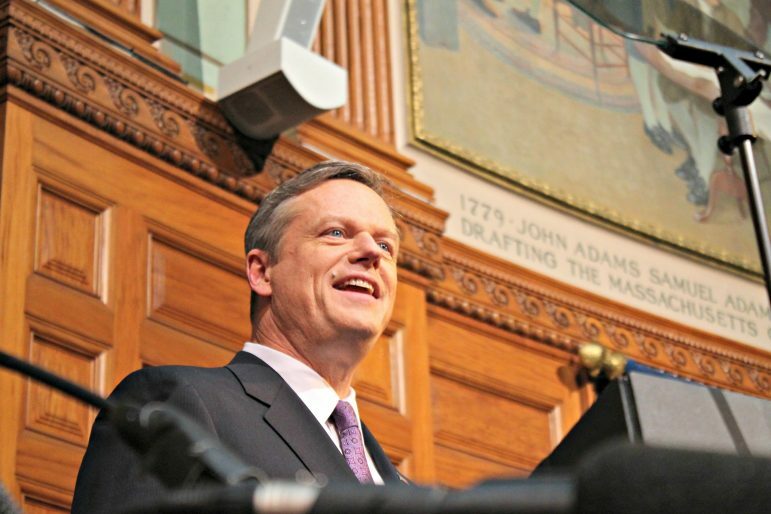 It’s like the governor’s budget,” Baker said. Though the governor has also expressed reservations over the House GOP’s plan to replace the Affordable Care Act (ACA), Baker said most of the funding changes from ACA repeal would not hit Massachusetts until 2019 or 2020, while an on-time federal budget would kick in starting in October. Baker said the Congressional Budget Office, which predicted that as many as 24 million Americans would lose their health insurance by 2026 under the House plan, raised “serious and legitimate concerns” with the bill, and he noted that seven Senate Republicans have already said they won’t support the bill as it stands, possibly dooming its chances. CBO also projected the bill would reduce federal deficits by $337 billion over the coming decade, with most of the savings associated with reductions in Medicaid outlays and the elimination of ACA subsidies for nongroup health insurance. “There’s a long way to go in this debate and we should not just roll over,” Baker said. The governor’s dismay with some of Trump’s spending plans was shared by Bay State Democrats. U.S. Rep. Joseph Kennedy said Trump’s budget turns “a cold shoulder” toward those in need, and makes cuts to the Environmental Protection Agency, the State Department, the Peace Corps, legal service and other programs that families and communities rely on. “A government that does not invest in her people does not put America first. President Trump’s budget reinforces inequities in our classrooms, our courtrooms, our behavioral health centers and every community across this country. It threatens the science that makes us strong, the diplomats that keep us safe, and the local investment on which our entire economy depends,” Kennedy said in a statement. The treasurer, state gaming commission chairman, legalization advocates, and representatives from the attorney general’s office and a handful of state agencies have been invited to testify tomorrow [March 20] at the first hearing of the Joint Committee on Marijuana Policy. Massachusetts voters in November approved a marijuana legalization law and it became legal for adults to possess, use and gift marijuana in December. Legislators are intent on making changes to the law. This week’s hearing is the first of four forums the committee has scheduled to hear from advocates, state officials, municipalities, the public and other groups. The committee plans to adopt internal rules and then will welcome testimony from the organizers of the Yes on 4 ballot campaign, Treasurer Deborah Goldberg, Massachusetts Gaming Commission Chairman Stephen Crosby, Attorney General Maura Healey’s office, the Department of Public Health, the Department of Revenue and the Department of Agriculture. Testimony from members of the general public will be accepted at the conclusion of the invitation portion of the hearing, according to the committee. The committee has also scheduled hearings for 4 p.m. on March 27 at the West Springfield High School auditorium, 11 a.m. April 3 at the State House, and 4 p.m. April 10 at Shrewsbury High School. 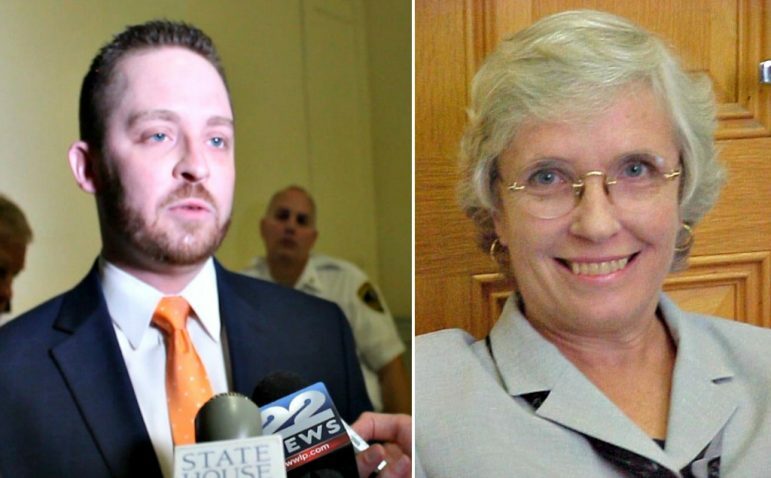 The committee, led by Braintree Rep. Mark Cusack and Somerville Sen. Patricia Jehlen, said the specific bills that will be heard at each hearing have not yet been determined. Monday’s hearing begins at 11 a.m. in Hearing Room A-1 and A-2 in the State House. The elimination of weekend commuter rail service should be a “last resort” for the MBTA, where officials surfaced the idea this week as part of plans to close a projected $42 million budget deficit, Gov. Charlie Baker said last week. MBTA officials presented a number of options to the Fiscal Management and Control Board to solve for the structural budget gap, including the $10 million reduction in rail services and new geographic restrictions on The Ride, which services disabled customers. Proposed MBTA service cuts have been widely panned in recent days. “I come at this from a point of view that service cuts should be a last resort to deal with budget issues and this one, I also view, as an opportunity for the Fiscal Management and Control Board and the folks at the T to collect data and hear from people about all the options they put on the table, including this one, but I think cuts to the weekend service, I think any cut to service should probably be a last resort and I’m interested to hear what the conversation looks like going forward,” Baker said during a WGBH radio appearance in response to a caller from Worcester. Baker noted the investments his administration has made to improve commuter rail service to Worcester, and said he was not backing away from the commitment. He noted that since its creation in 2015 the FMCB has rejected or modified multiple proposals put forward by MBTA management, and he expects this concept to get similar scrutiny from the board. 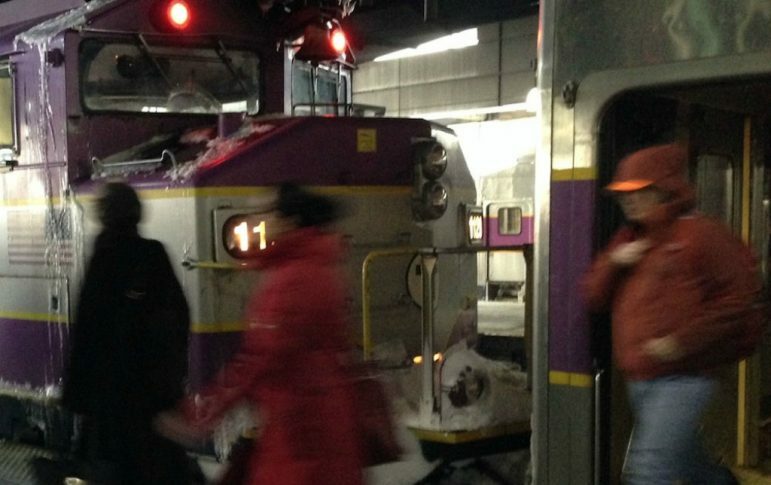 The commuter rail proposal was part of an “option memo” that T officials put together for the control board that could also include reforms to the way the agency handles bus maintenance, Baker said. Many New Englanders celebrate every March when the clocks jump ahead one hour for daylight savings. Not only does it mean leaving work before the sun sets, but there’s an emotional lift that comes from knowing the darkest days of winter are behind. Retailers Association of Massachusetts President Jon Hurst testifies Wednesday before the special commission studying Massachusetts’ time zone. But what if permanently adopting daylight saving time (no more falling back or springing ahead) could reduce crime, lower electricity costs and give retailers a competitive boost against their online peers? Some experts think that’s not too much to expect. The debate over whether that extra hour of daylight would be better used in the mornings or the evenings from November through March is occurring before a legislative commission that hopes to make recommendations this spring. The commission chaired by Sen. Eileen Donoghue is charged with studying how shifting permanently to Eastern Daylight Time — the time zone that Massachusetts observes between March and November — would affect the state’s local and regional economies, its education system, public health, transportation, energy consumption, commerce and trade. University of Virginia professor Jennifer Doleac and Cornell University professor Nicholas Sanders studied the impact of daylight on crime, specifically robberies, after the 2007 change that extended daylight saving time for one week in the fall and three weeks in the spring. The study, titled “Under the Cover of Darkness: How Ambient Light Influences Criminal Activity,” found that adding an extra hour of daylight to the end of the day for three weeks in March reduced robberies by 7 percent overall, and by 27 percent during the evening hours when people are commuting home. Doleac told the commission by teleconference that the research showed a “big meaningful effect” on street crime in the evening hours without a corresponding increase in robberies in the morning. Because robberies are “crimes of opportunity” and most often occur when people are active on the streets, Doleac said the criminal behavior also doesn’t simply shift to later hours after sundown. 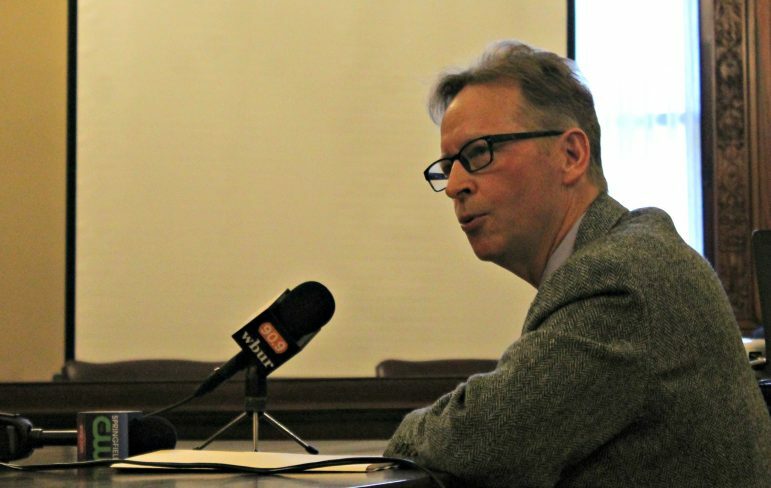 The commission also heard from Retailers Association of Massachusetts President Jon Hurst, who surveyed his members on their preferences, and the Acadia Center’s director of Clean Energy Peter Shattuck on how permanently adopting daylight saving time could modestly reduce electricity consumption and drive down demand for natural gas electricity during peak evening hours during the winter. Hurst said while 34 percent of responders to his survey said they would like to switch to daylight saving time year round and 24 percent said they preferred Eastern Standard Time, there appeared to be a strong preference among retailers for picking one time zone and sticking with it. Another 23 percent told RAM they did not think Massachusetts should change time zones without other states joining the effort, and 19 percent said the Legislature should leave time alone. “The vast majority supported doing something along these lines. They clearly believe being more consumer friendly is an important component,” Hurst said. Shattuck, who is also on the commission, presented Department of Energy research after the 2007 extension of daylight saving that showed a half percent decline in electricity use by extending daylight into the evening in November. Though he said it would not be a “silver bullet” for energy costs, Shattuck said the “appreciable” savings are felt more in the evenings than in the morning, and could help slightly lower the demand for gas-produced electricity in the winter during peak hours when most natural gas resources are going toward heating.